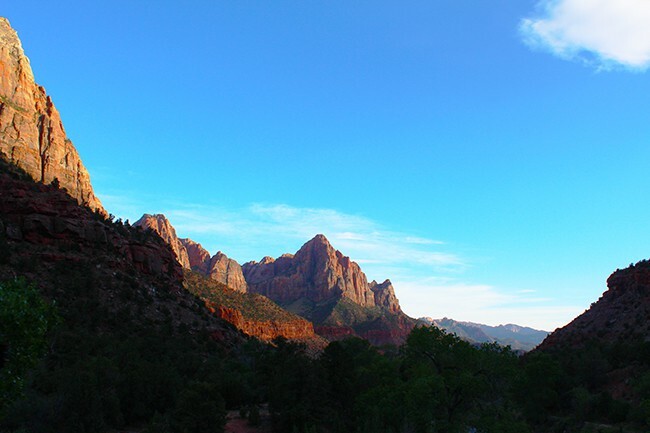 after we left Fort Zion, we continued our road trip heading to Zion National Park which is located in Southern Utah. 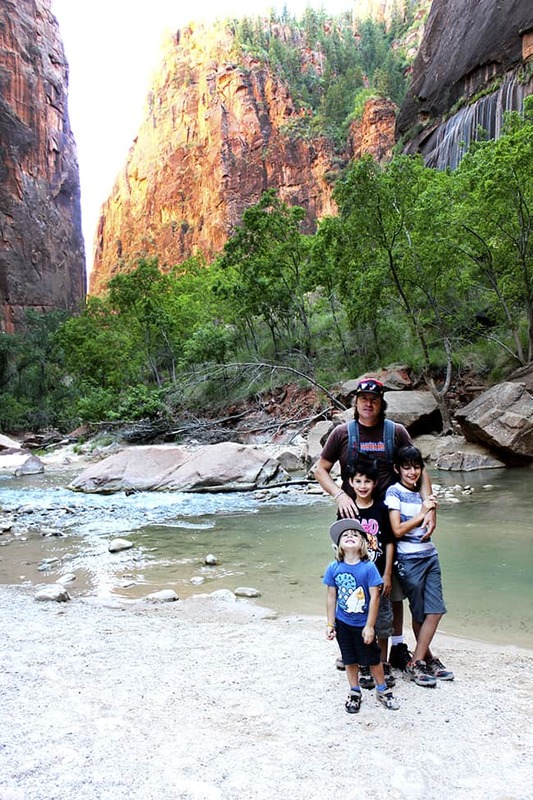 it was our first time visiting Zion National Park and we had no idea what to expect. driving in, we got our first views of the mountains. our car was filled with oooo’s and ahhh’s. the mountains were breathtaking. 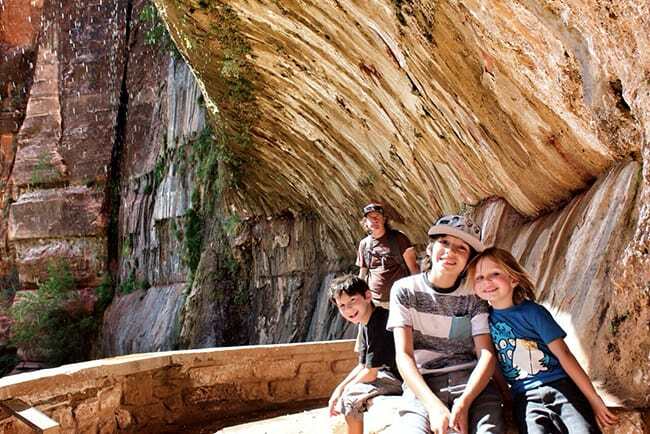 it costs $25 per vehicle or $12 per person to walk-in to the park. 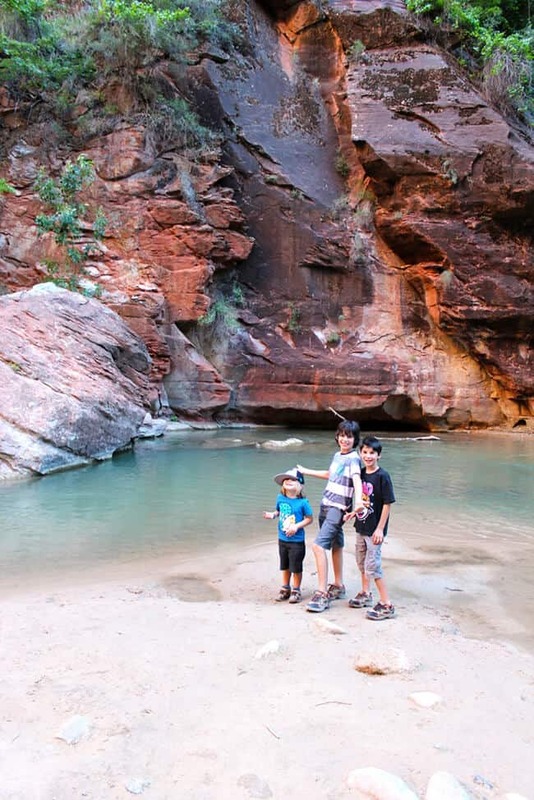 since we had planned on visiting many national parks on our trip, we found that our best choice was to buy a National Parks Annual Pass (thanks for the tip Michelle from Nature Play Trips). it was $80 and would pay for itself on this trip. 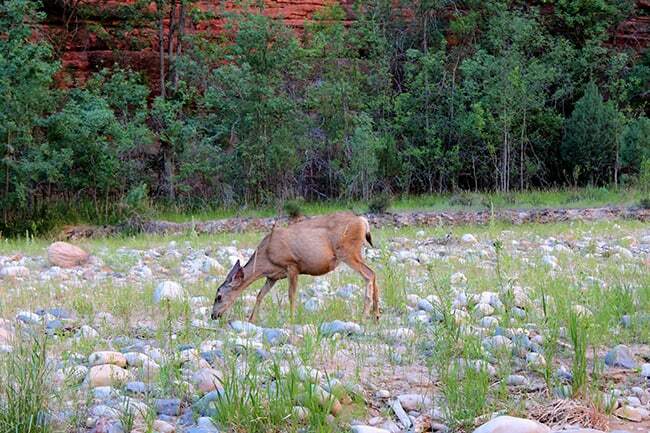 you can drive into the park with your vehicle, but places to park are scarce. 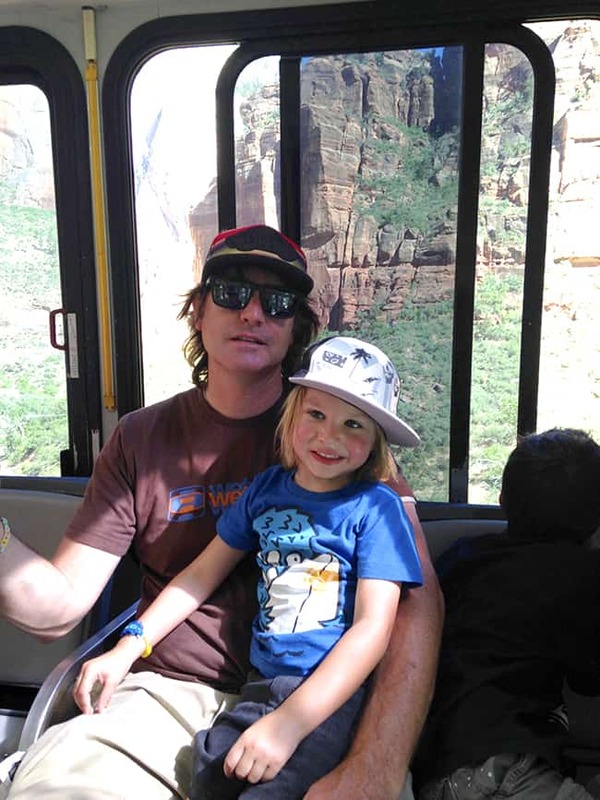 most people walk in and take the tram to their desired hiking spot. we learned this the hard way. we thought we could drive in, park and then hike. that’s not how it works! 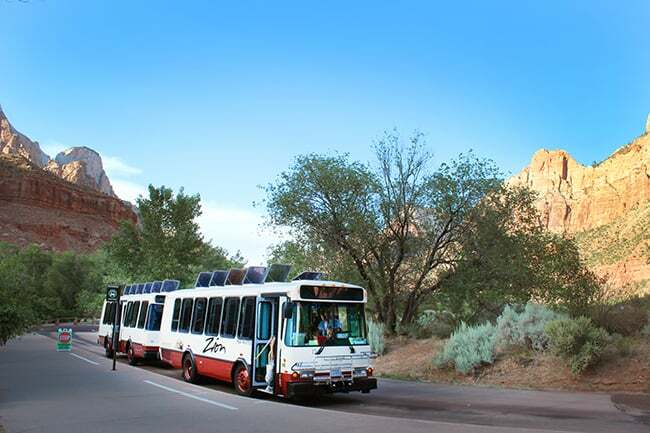 these park trams run up and down the road in and out of Zion National Park all day long. 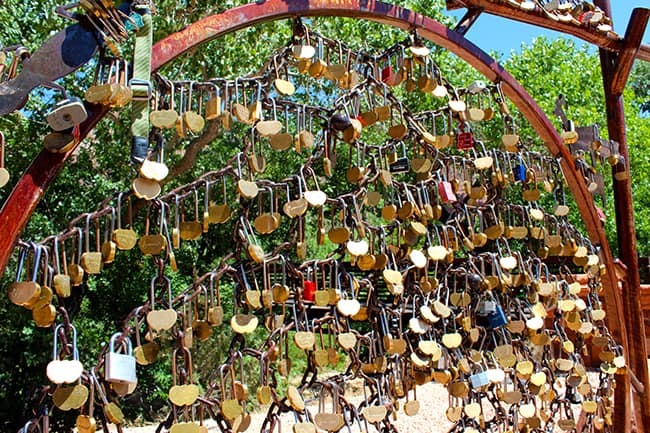 you can get on one at the park entrance, or at any of the stops in town. they run every 10 minutes, so it is really easy and fast to get where you want to go. 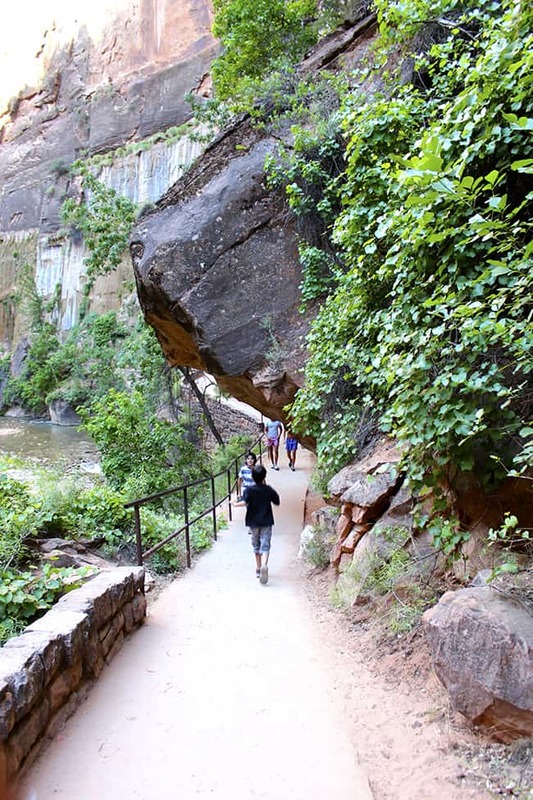 the Weeping Rock Trail is a half-mile round trip trail that leads you to a large rock ledge that is literally weeping water! the trail is fairly easy for everyone except for the fact it is uphill. 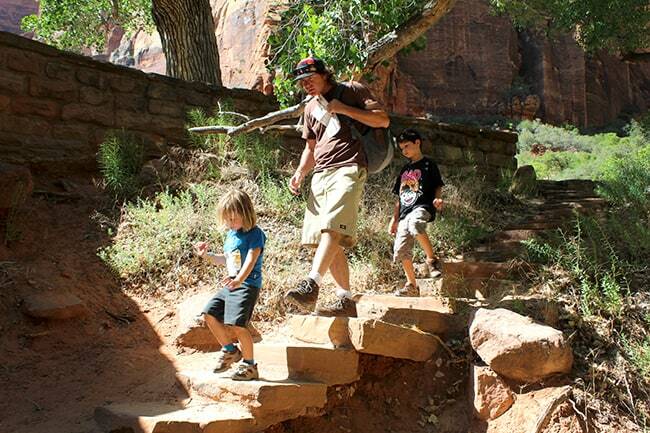 but the trail is paved, and we had no problem hiking up to the weeping rock. 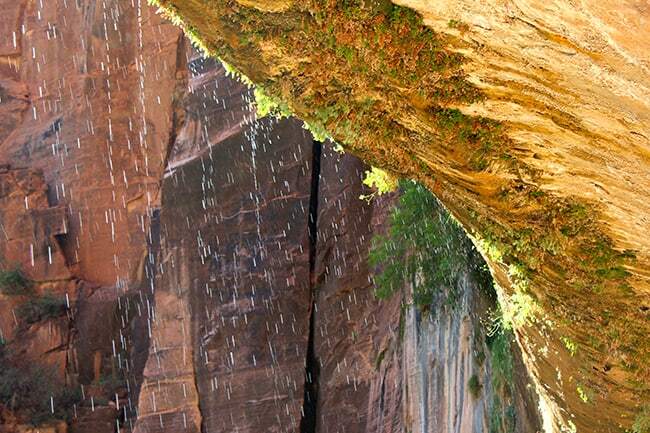 when we arrived at Weeping Rock, it was breathtaking. 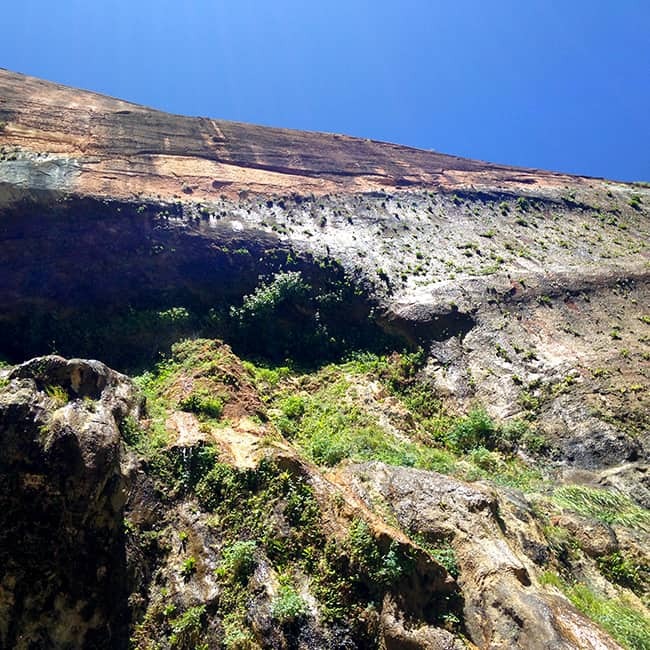 as you looked up at the massive mountain ledge, water gently showered over us. it was beautiful and a very special experience we shared as a family. it was quiet and calm and the beauty was overwhelming. there was an area where the cliff over hung, and you could go under the ledge and be protected from getting wet. 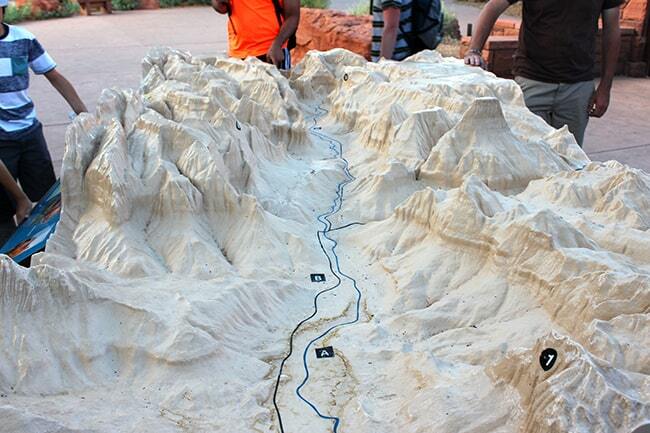 that is where we could look out and see a amazing view of Zion National Park. it’s hard to describe how beautiful it was . it was just amazing. the other trail we hiked was called the Riverside Walk Trail, a 2 mile round trip hike. 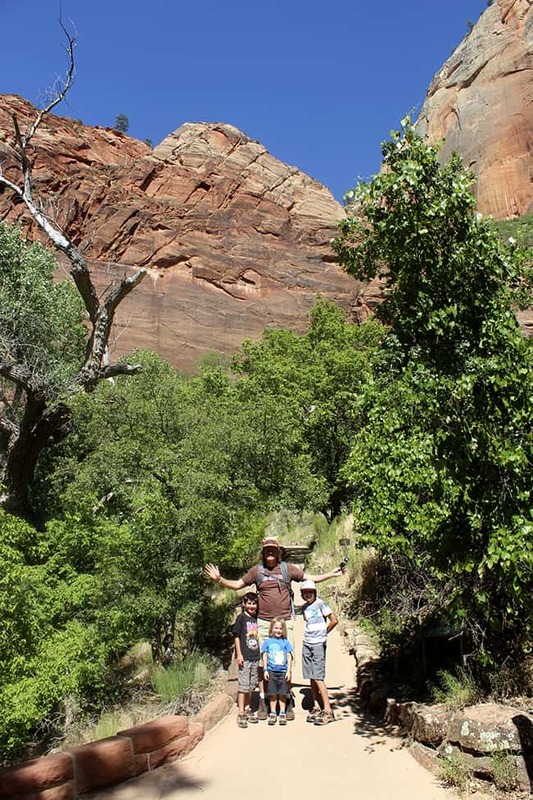 it was the perfect trail for families and was paved the entire way, except for the small trails that detoured off of it by the river. there were no uphills and it was filled with lots of wildlife and unique landmarks. 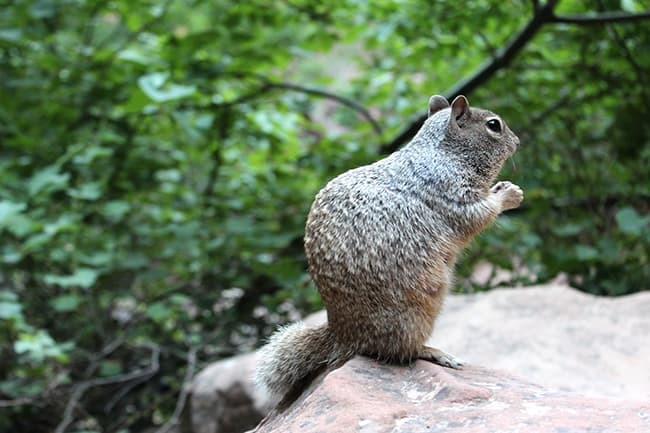 we saw deer, and squirrels who were a little too friendly…. and also enjoyed the beautiful river that ran the entire length of the trail. 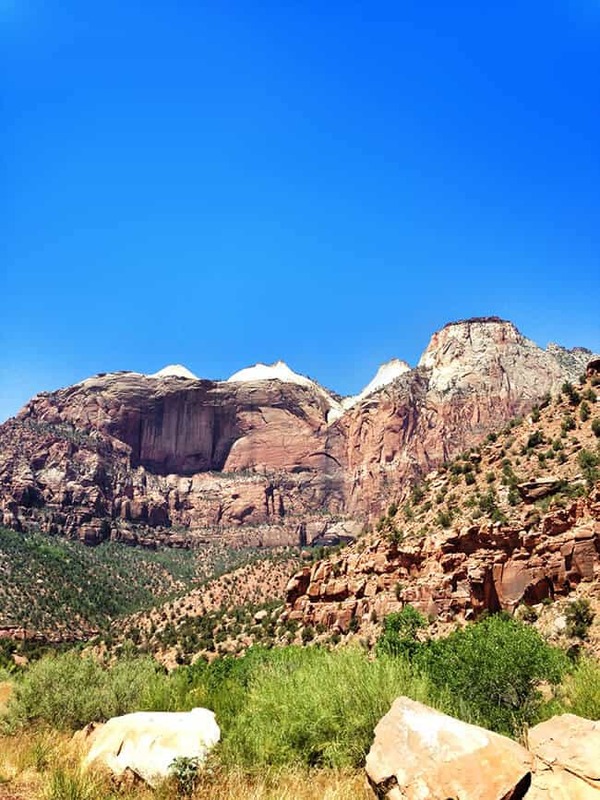 i was just overtaken by the beauty of Zion National Park. this had to have been the most wonderful hike that i have ever taken. 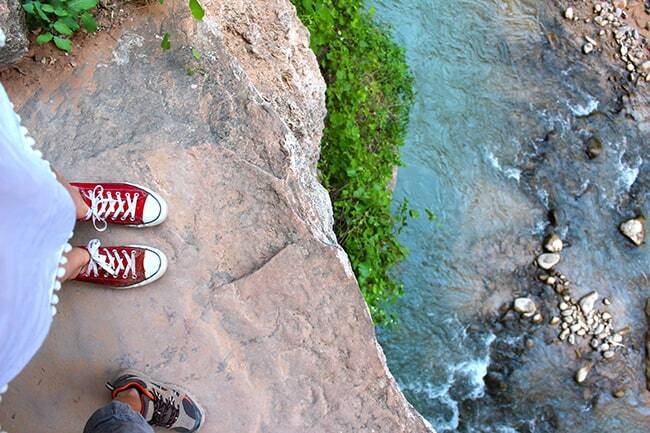 and what i really liked, is that i didn’t feel this hike was dangerous or scary. 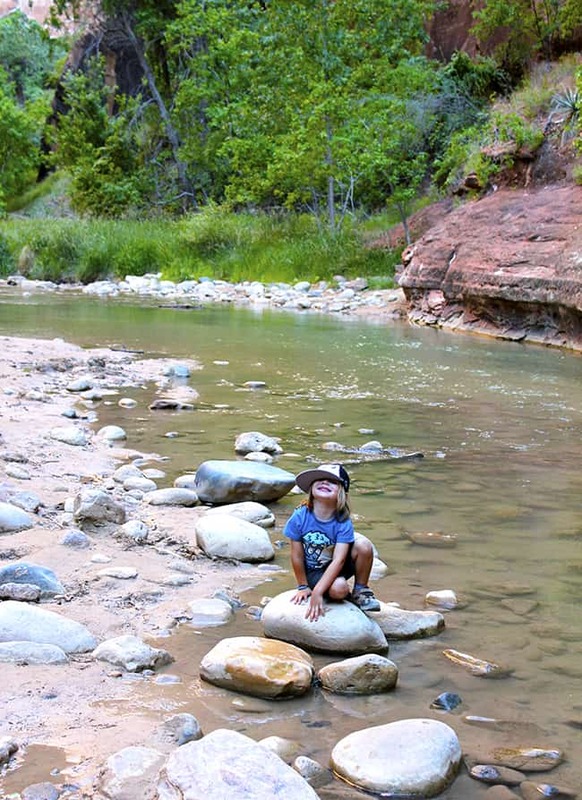 the water was calm and not deep (at least during this time of year) and the kids were able to explore the nature surrounding them. at the end of the Riverside Walk Trail, you can continue onto the trail to what they call Narrows. it looked like it would be an awesome hike to go on, but it is recommended for ages over 8, so we had to pass. next time we visit, that is one trail we will do. 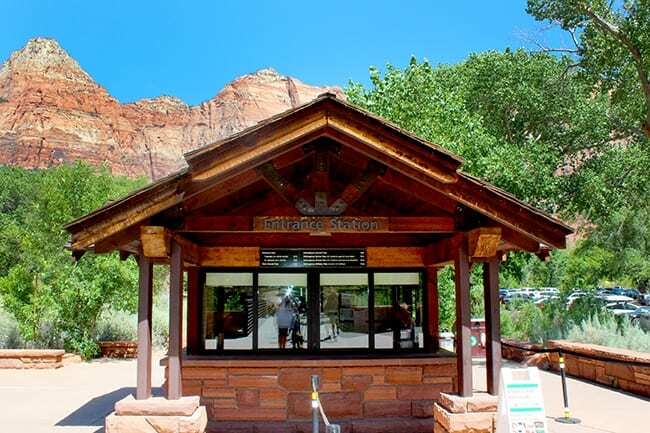 my best suggestion, is to stop at the visitor center before heading into Zion National Park. talk to the ranger and tell him what you want to do, and he will direct you to the best trails that are right for you. there are many trails fit for every skill level. even trails that are hand-cap accessible. 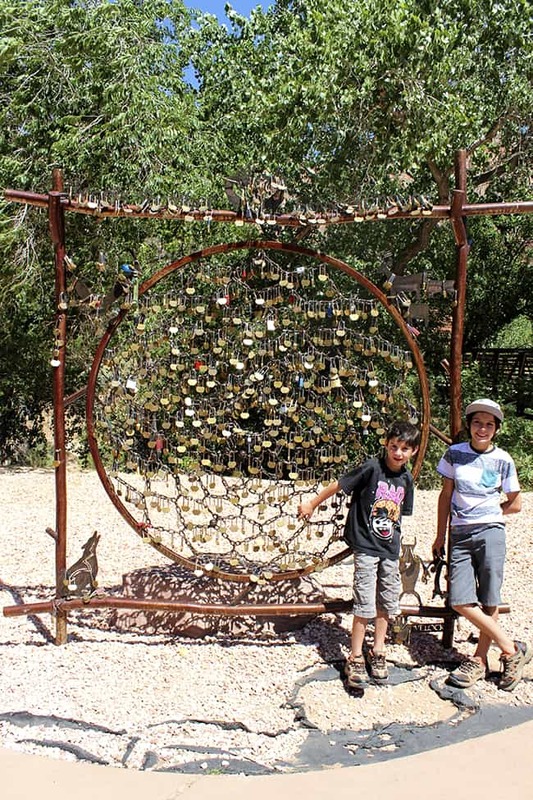 at the visitor center, you can also see great exhibits and fun landmarks like this lock sculpture…..
or this scale model of the park. 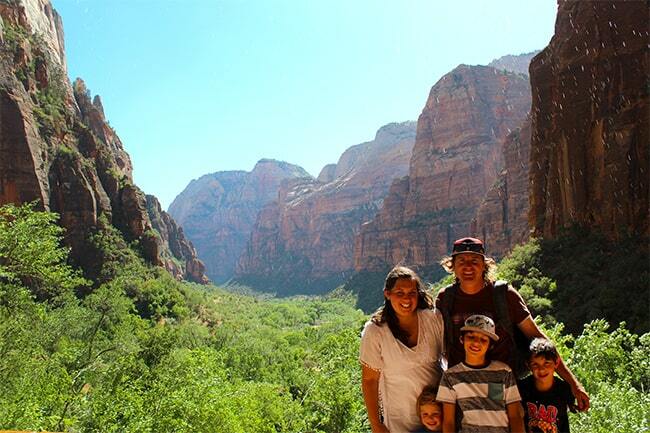 our time at Zion National Park was amazing. it was one of my most favorite parts of our road trip. it is so difficult to capture how beautiful and amazing it really was on camera. the entire time i was there, i was overwhelmed with how enormous and how absolutely gorgeous it was. there was so much more that we could have done and explored there, we could have easily stayed a week….but we needed to continue on our way. 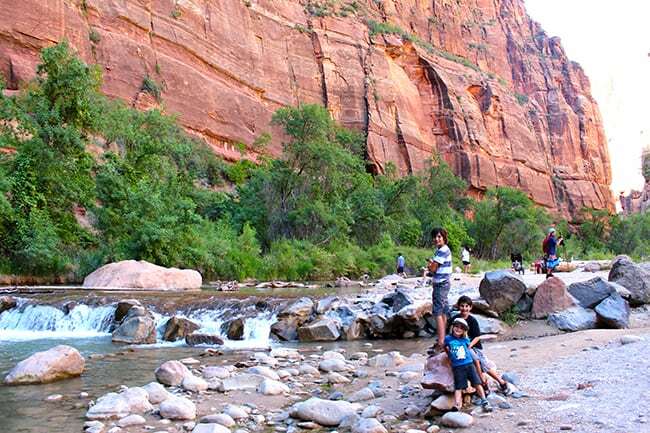 Zion National Park needs to be on everyone’s bucket list. no joke. 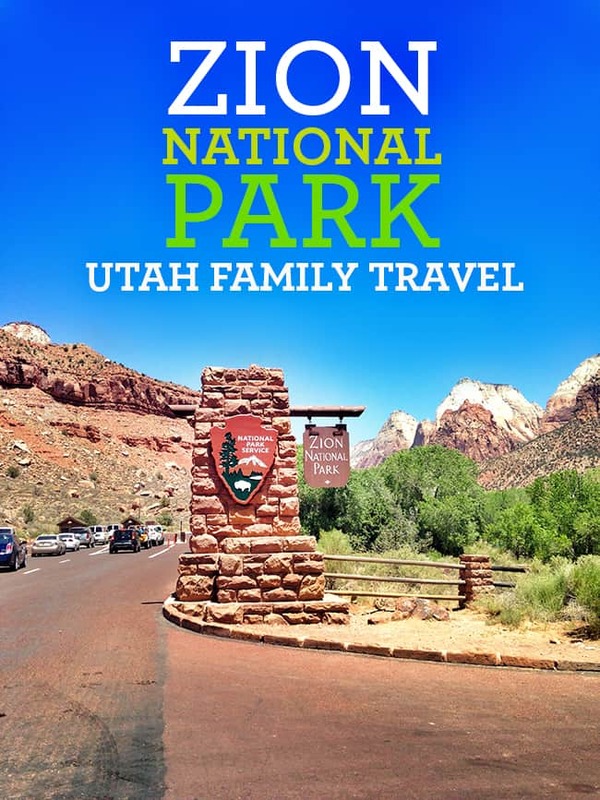 to find out more about Zion National Park, check out their website.